The help of brochure distribution over the years has left an immense impact to a variety of businesses. Although it is common in this generation to discover newly established businesses via internet, the conventional way of enticing people through the means of brochures, pamphlets, or invitation flyers is still practiced due to the sole reason of its effectiveness. 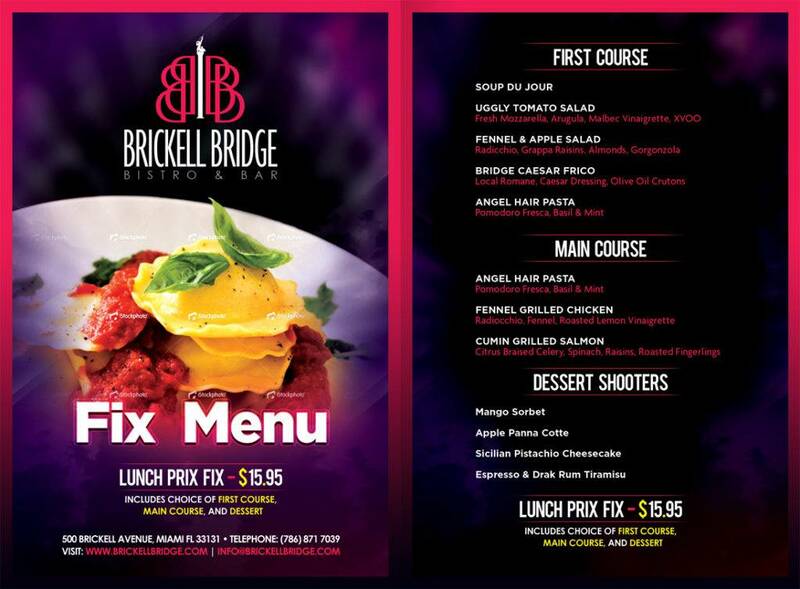 Restaurant menu brochures, like any other company brochures or even the restaurant logo, should captivate the people’s interests, especially if the restaurant is new. Containing an interesting content and hunger-inspiring images, the reader would read through the minute of details and, most often than not, would swear to himself or herself to visit the restaurant. 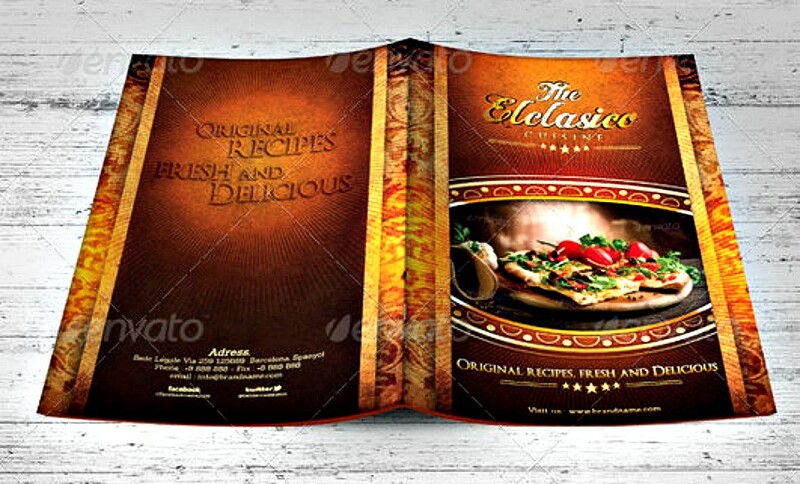 In comparison with other brochures, a restaurant menu brochure focuses on the restaurant’s specialties with their prices, name of chefs who works for them (optional if the chef working for them is renowned), and “about us” which also includes contact details should an interested consumer want to make reservations, or have further inquiries. For better understanding it comes with necessity to provide further details as to why they need to appear in a restaurant menu brochure. This is the most vital part in the discussed brochure. Names of dishes should be presented in it well with images to pique the interests of consumers. A still of an actual dish with a delightful plating will help the restaurant tempt possible consumers to pay their visits to it. Besides the picture of the dish, it is common in a prestigious restaurant to put the ingredients of a dish in the menu. At first consumers would wonder why the restaurant are presenting their ingredients to its people when they should not be doing this at all, for other restaurants may steal their special ingredient(s). The main reason why other restaurants include their ingredients in its menu is to inform consumers what they will be taking. 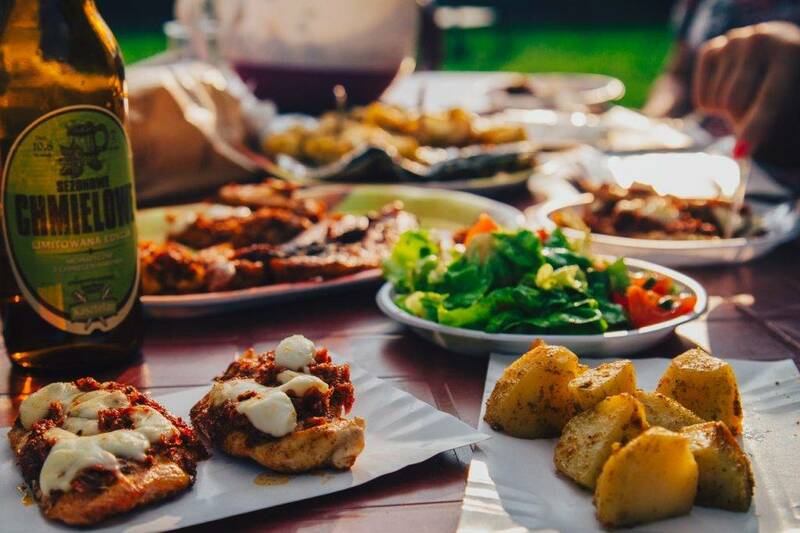 The consumers should be informed as to what dish are they going to choose because there might be ingredients that triggers their allergy from appetizers to main dish. Another reason for putting the ingredients in the menu is to inspire curiosity to consumers, thus, there will be a bigger chance that this developed curiosity would compel them to eat in the restaurant. Dropping the names of the chef(s) is also an effective way of inviting future customers in the restaurant, regardless if the chef(s) is renowned or not. A highlight of their profession’s background will win the customers’ trust. This part includes what type of cuisines they have worked before, highlighting their talent in the kitchen. If the chef(s) happens to be renowned, customers will be flooding the doorway even before the door of the restaurant opens. The panel designated for “about us” can be found on the same panel where the name of chef(s) is manifested, that is if the latter is included in the brochure. This is the part of the brochure where the restaurant discusses the history of their business and what inspired the entrepreneurs to build such an establishment. 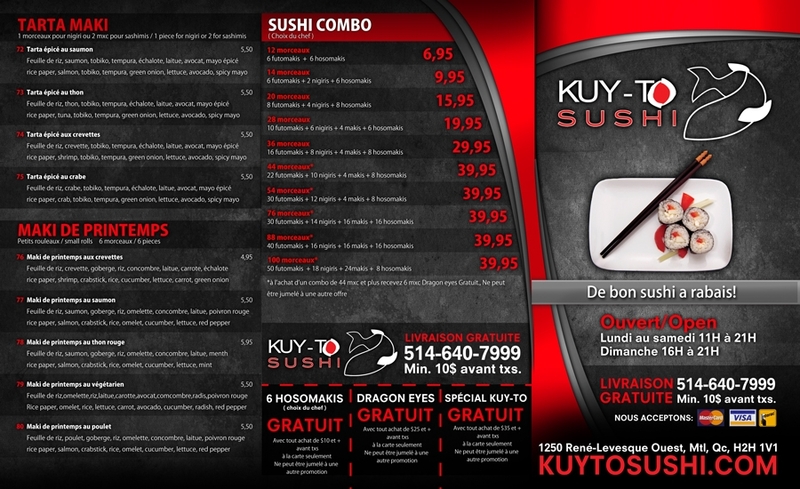 Since brochures are larger in comparison with pamphlets, this allows more space for the content as there is a need to inform consumers about the restaurant’s services and products. Location, contact details, and number of branches are also found here. The contact detail is not only limited to cellphone number, for an email can also be printed in it, or the restaurant’s website for you to check on the reviews from recent customers. If the reviews are great, then the restaurant continues to increase its popularity and, thus, invite more customers who have never gone to the place and enjoy the delight that is their food.